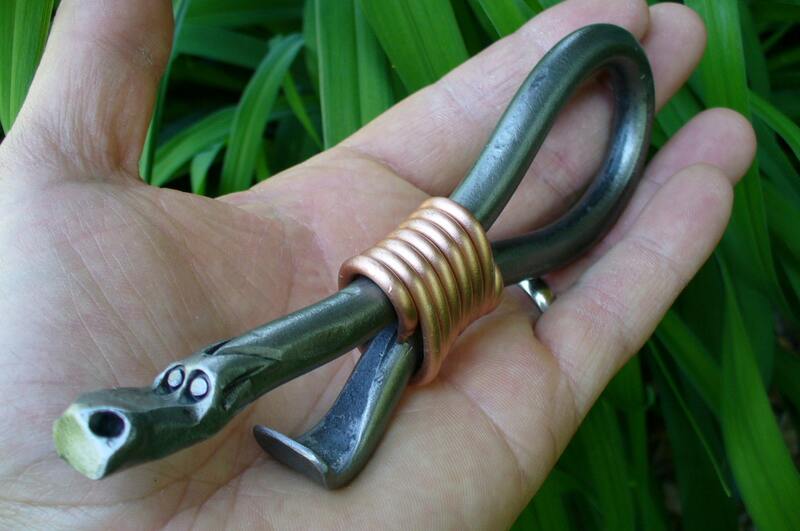 This heavy duty hand forged dragon bottle opener shows off a decorative copper wrap on the handle. 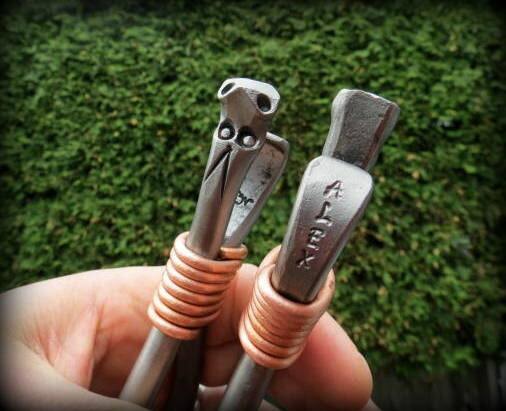 The perfect gift for your groomsmen, boyfriend, buddy, best man, well... I guess this is a sure bet when it comes to finding an original gift. 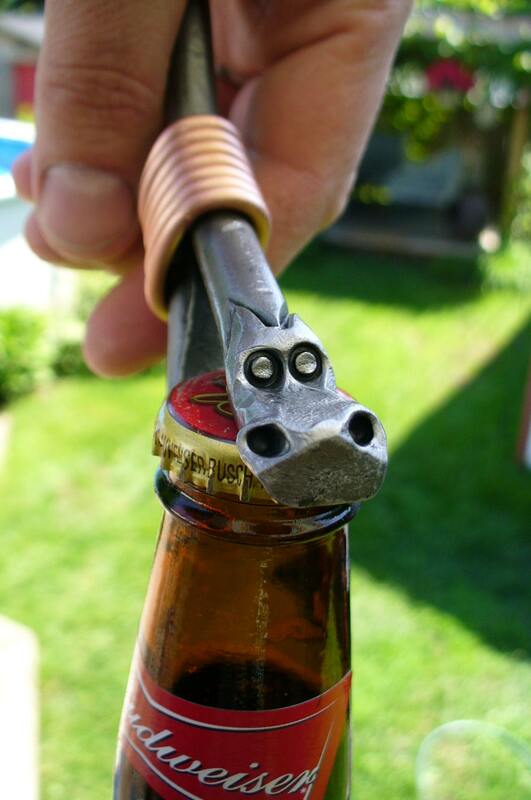 On one end of the bottle opener is a hand forged dragon head that rests it's jaw on top of the cap for leverage when you pull up on the opener. The head is forged at a yellow/orange heat (approximately 2000 degrees farenheight) at the anvil with my hand hammer and hand made punches. 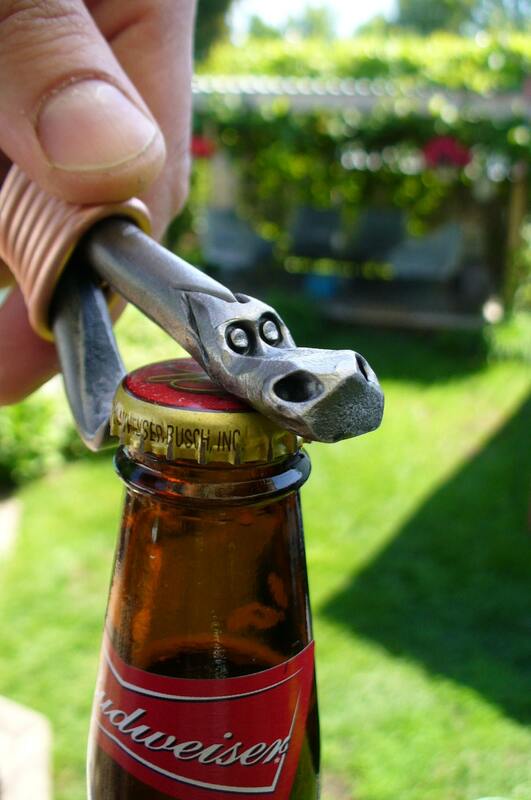 The iron section is forged out of one piece of 3/8" solid round iron and has been welded together at the touching point for extra strenght (this is so there is no "spring" effect) when opening your favorite beverage. The weld is then hidden with the decorative copper wrap. Since all my dragons are hand forged one at a time, they each have their own personality and character, not one is the same but they all come from the same fire therefore are all brothers (or sisters). If you like the one you see here, you will also like yours. 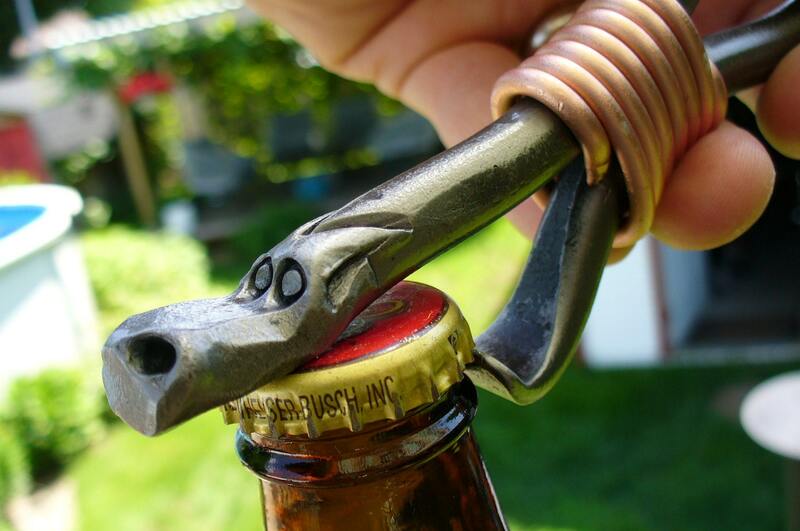 Total lenght of the dragon bottle opener is approximately 6"... Each one is stamped with my maker's mark "Naz" on the lower section. This item is made strong to last long !